Shirts With Random Triangles: Bo Schneider Is An Ex-Central Florida QB, Transferring To Pitt. Bo Schneider Is An Ex-Central Florida QB, Transferring To Pitt. Bo Schneider. Image via Central Florida Future. Bo Schneider is an ex-Knight. A report from Dan Kingerski of the website Pittsburgh Postgame indicated that the freshman Central Florida quarterback will transfer to Pitt next season. 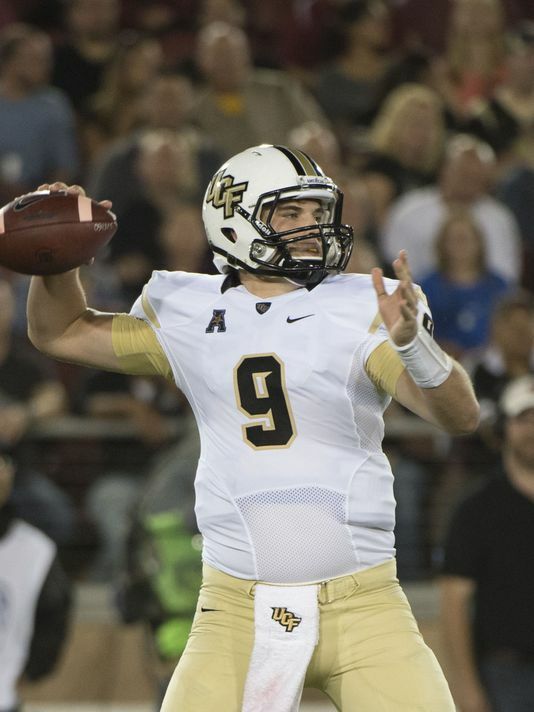 Schneider played in eight games for UCF in 2015, starting in three. He completed 54 of 105 of passes thrown in 2015, with 534 passing yards and three touchdowns. Thanks to pesky NCAA transfer rules, Schneider will have to sit out the 2016 season at Pitt.